Our latest 2017 recycled or reclaimed pine furniture . We have full complete set of dinning and living room . Two tone color of natural reclaimed pine wood and white hand painted combine with nice black industrial handle . 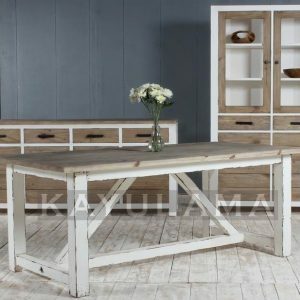 Rustic Minimalist look and industrial touch of reclaimed pine and recycled pine furniture.